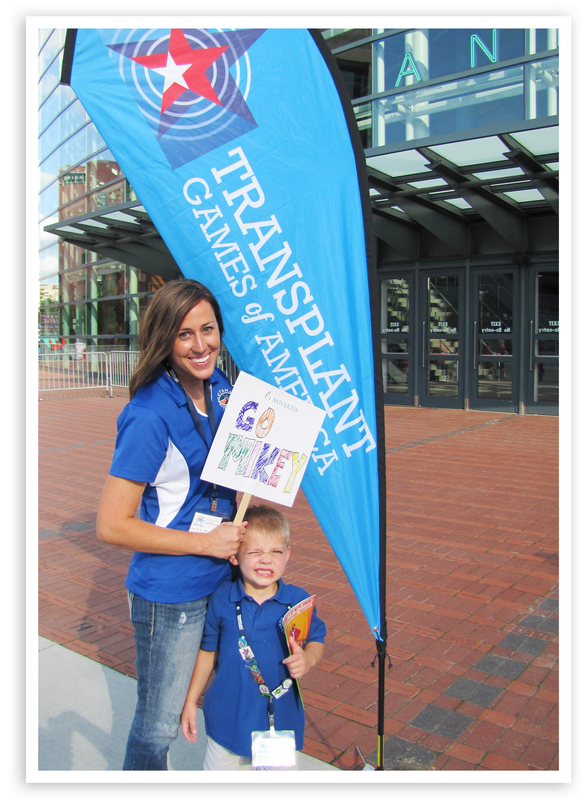 We feel so blessed and honored to have been able to participate in the Transplant Games of America this year. It was an incredible experience and made me fall in love with my heart throb all over again as I watched him compete his heart out with other transplant recipients who share stories as equally amazing as his. Mike's transplant story (for those that don't know): When Mike was only 18 months old, he lost his first kidney to cancer (neuroblastoma). He received chemotherapy and radiation at that time and was able to make a full recovery. However, when he was 18 years old he was diagnosed with cancer again (renal cell carcinoma), this time on his other kidney. His remaining kidney was removed and he was placed on dialysis for seven months. Fortunately Mike's brother Devon was a perfect match and generously donated a kidney to help spare Mike a life on dialysis. Mike has been completely healthy and cancer-free since his transplant! His rock star of a kidney is going on 13+ years. 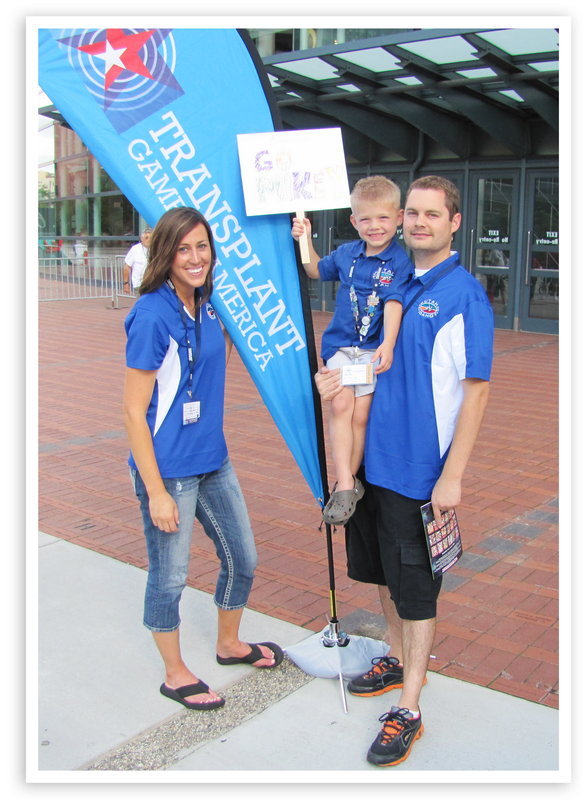 The Transplant Games this year took place in the beautiful city of Grand Rapids, Michigan. Team Utah/Idaho consisted of 19 athletes (living donors & recipients) and 43 supporters, including one donor family whose teenage son's donated organs saved others lives after he passed away in a roll-over accident last year. 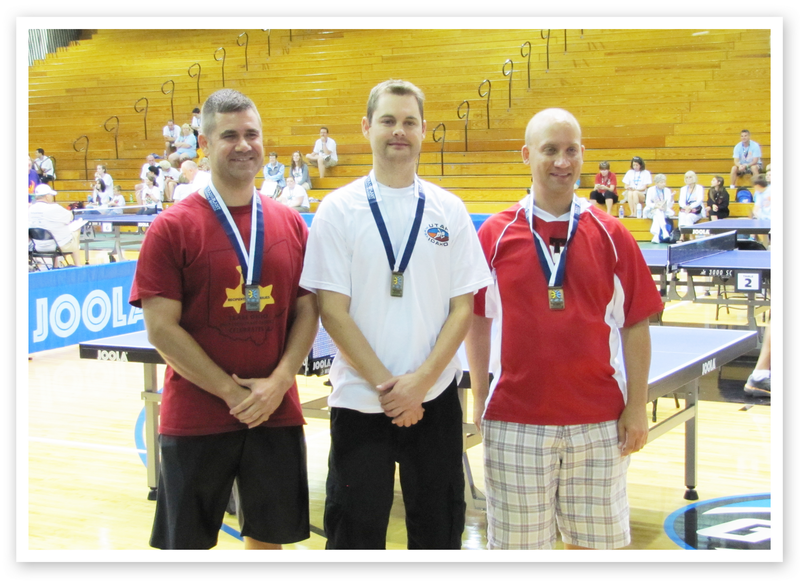 There were teams there from all around the country representing nearly every state! 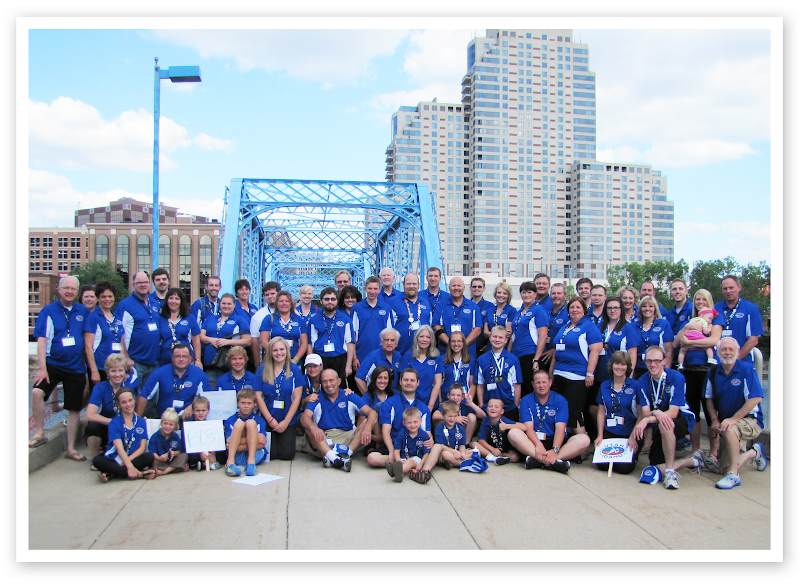 Watching the over 1,000 recipients and living donors march into the opening ceremonies by state was amazing. First came the recipients who's lives have been spared because of the selfless sacrifices of others. Second came the living donors who selflessly shared a part of themselves in order to give others a second chance at life. And finally, as the crowd stood with a tearful standing ovation, came the donor families, who marched in honor of their loved ones who have passed away but in so doing saved lives through the gift of organ donation. It was such an incredible tribute to all. 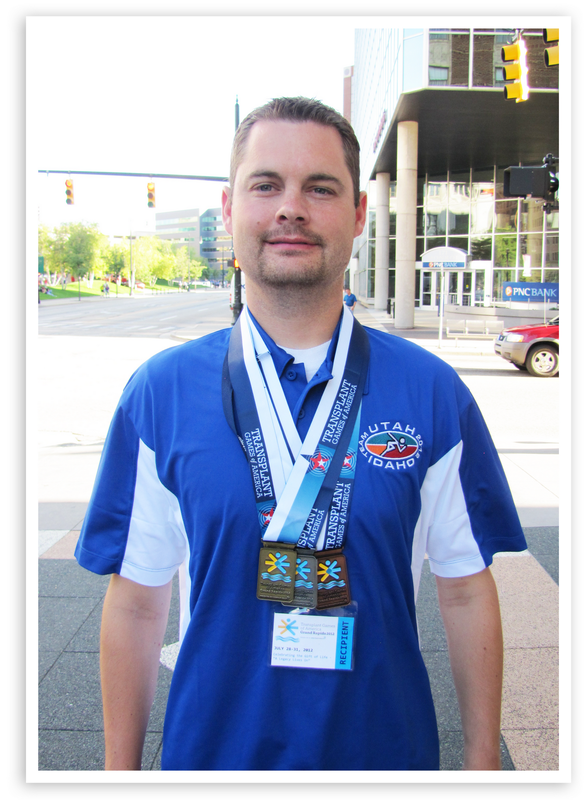 Mike competed in five events and won three medals. He killed it in table tennis and won the GOLD! 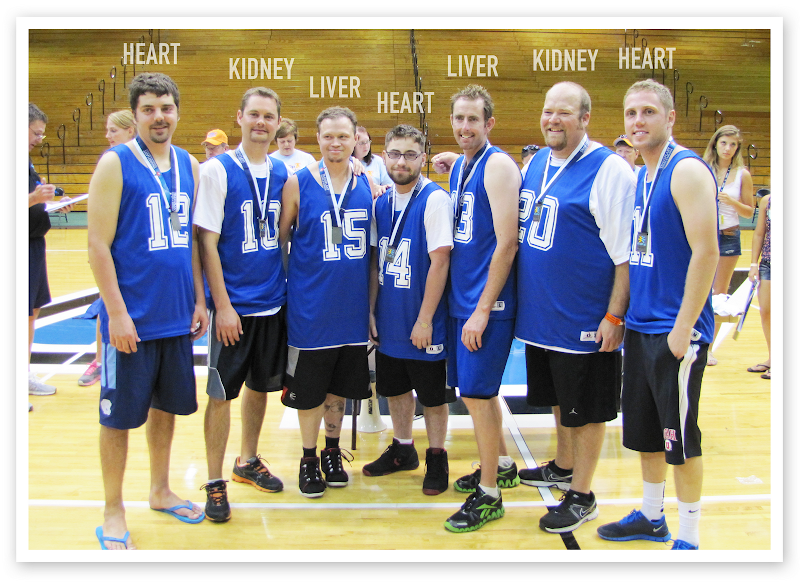 His basketball team, which consisted of heart, liver and kidney transplant recipients totally rocked it and won the SILVER. Because I'm a volleyball player, volleyball was by far my favorite event to watch. It honestly took everything I had inside of me to stay sitting on the bench and not run onto the court and play. It killed me to sit there but I restrained myself and instead put all of my energy into cheering on the team. 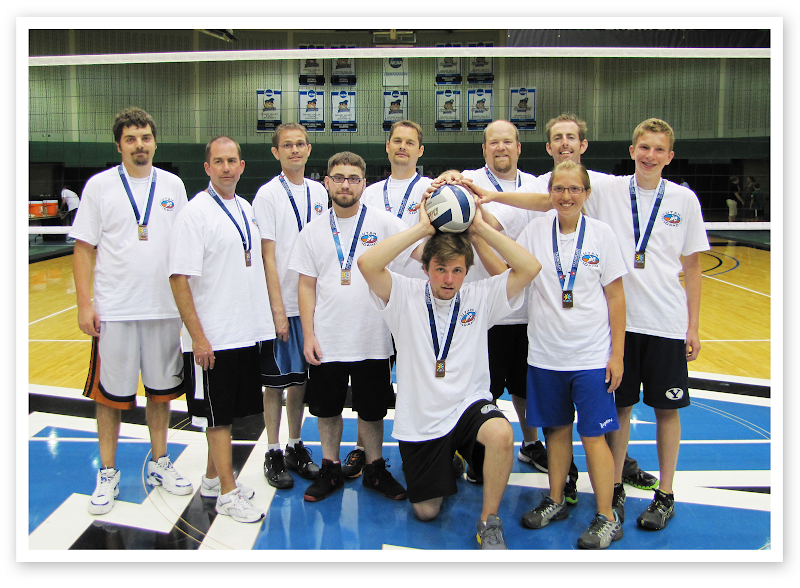 Utah/Idaho fought hard and ended up with the BRONZE in volleyball. Mike also competed in golf and bowling, but the competition was crazy fierce and Mike ended up not medaling in either of those events, even though he did great. 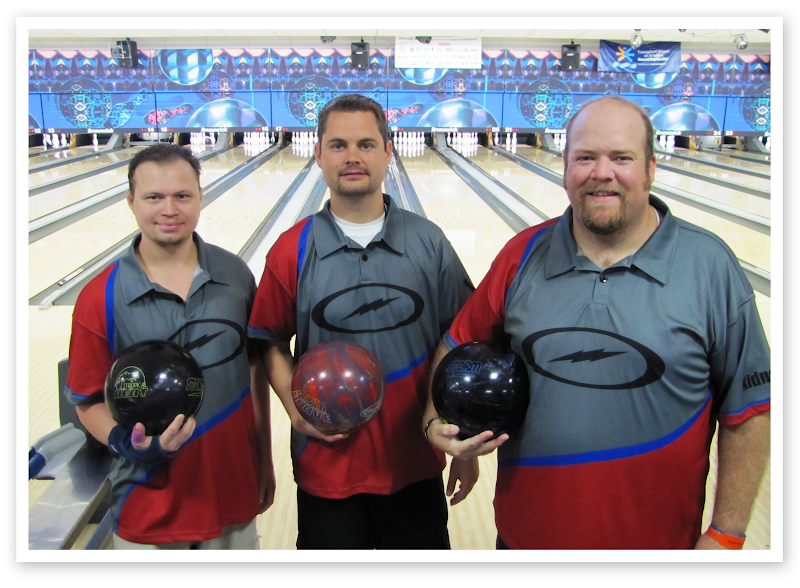 The dude on the left of Mike (Stephen) got gold and the dude on the right (Rick) got bronze. Both were on Team Utah/Idaho and were incredible bowlers! Bryson and I LOVED cheering Mike on. I nearly lost my voice from all the screaming and cheering I did throughout the week--but it was well worth it to see my man medal. 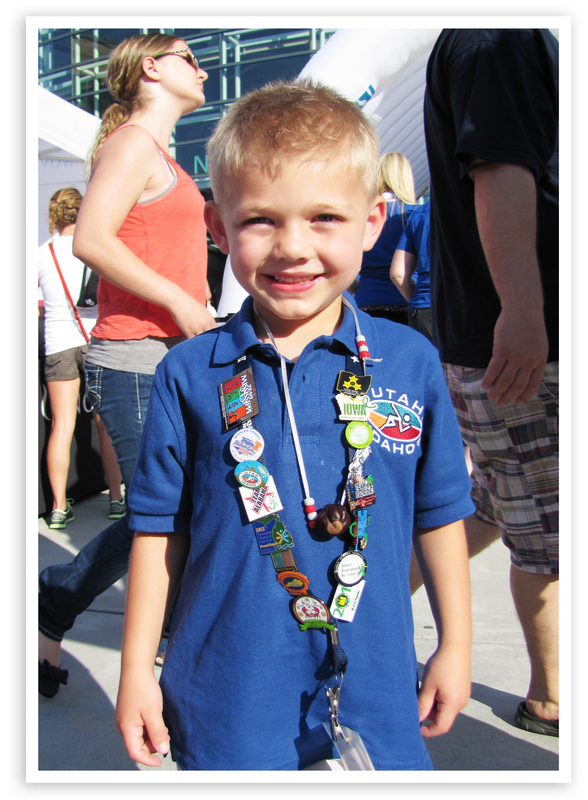 Bryson's favorite part of the games was collecting pins from all of the states that were represented. He got really good at walking up to the athletes from the other teams and asking them if they wanted to trade pins with him. He has quite the collection now. You'll also notice a buckeye hanging around his neck. When one of the players from Ohio learned he was born in Ohio, she gave him that necklace to wear. It was so cute of her and it made him feel so proud. Bryson also loved playing with this little boy named Lucas. When we arrived at the hotel and Bryson learned there was a kid there his age, he immediately wanted to meet him, so Unky took him down to Lucas' room and Bryson invited him to the pool to play. Bryson is a rockstar when it comes to making new friends. 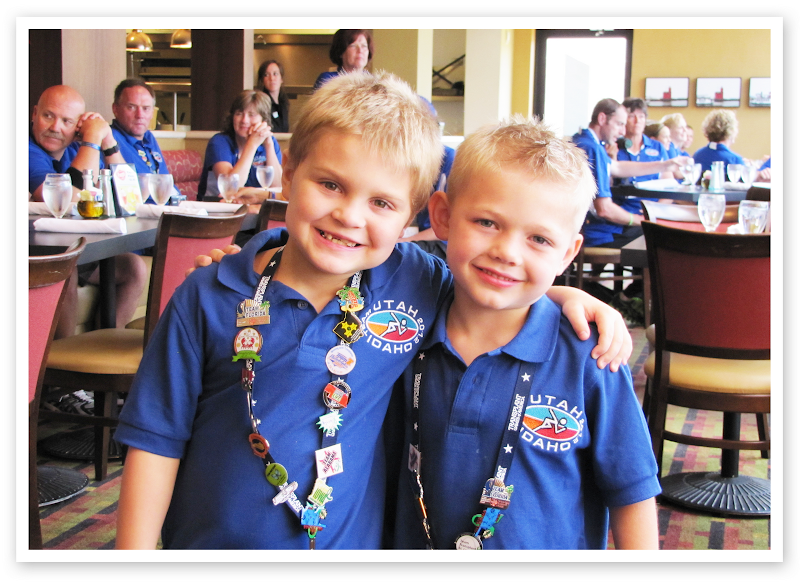 Lucas and Bryson became best buds and were joined at the hip the entire trip. Cute/sad/funny story: So the day Mike had his long golfing event, Bryson and I decided to spend the day exploring the city. We didn't have a car, so we planned to walk to some fun places close by. Bryson begged me to make McDonald's our first stop for breakfast, so I looked up the nearest location and we set off on our journey. It was 1.5 miles away, but that 1.5 miles ended up being mostly up hill and it was becoming a very hot morning. Our pace was pretty slow and that 1.5 miles started to feel more like 5 miles, so I suggested to Bryson that maybe we should eat somewhere a little closer to where we were instead of walking such a long way to McDonald's in the heat. He insisted that McDonald's was where he wanted to go and he was certainly determined to keep walking until we got there. So we walked and walked and sweated and sweated until finally we saw the golden arches. Unfortunately when we got up to the restaurant this picture shows what we found. I couldn't help but start laughing at how ironic it was that it was closed after all the effort we put in to get there (it really was a lot of work!) and of course poor little Bryson was heartbroken and so bummed! He had his heart set on going there and was beyond disappointed. Before turning around to start the journey back, we sat on the lawn for a couple of minutes to rest and talked about how sometimes in life there are disappointments but that it's important to always make the best of them. So as we walked back we tried to find the good in McDonald's being closed...like that it gave us good exercise, that it helped Bryson find a slug bug (he loves to look for those), that we got to see more of the beautiful city, etc. We eventually found our way to a Subway but by that time it was lunchtime, so our journey to get breakfast ended with lunch. 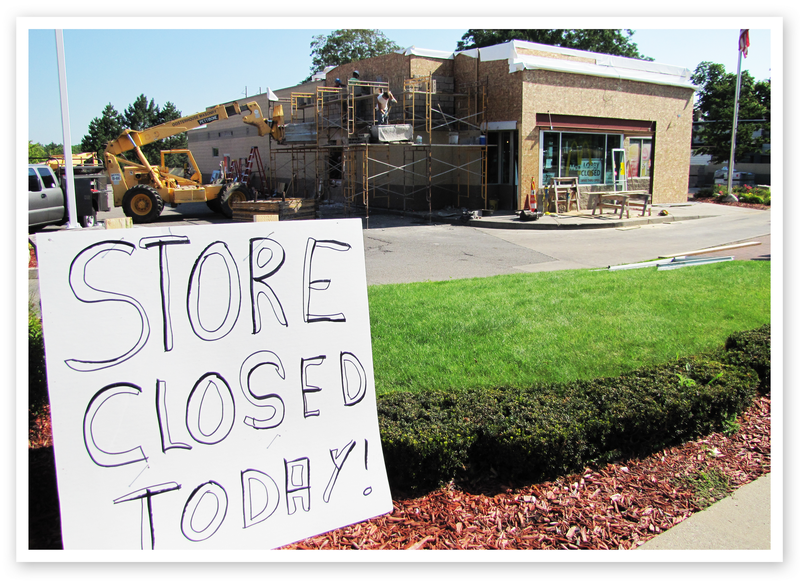 Oh, and Bryson did finally get his long anticipated McDonald's the following day at another location. We made sure to get a ride this time. Mike on the way to the closing ceremonies wearing his bling. 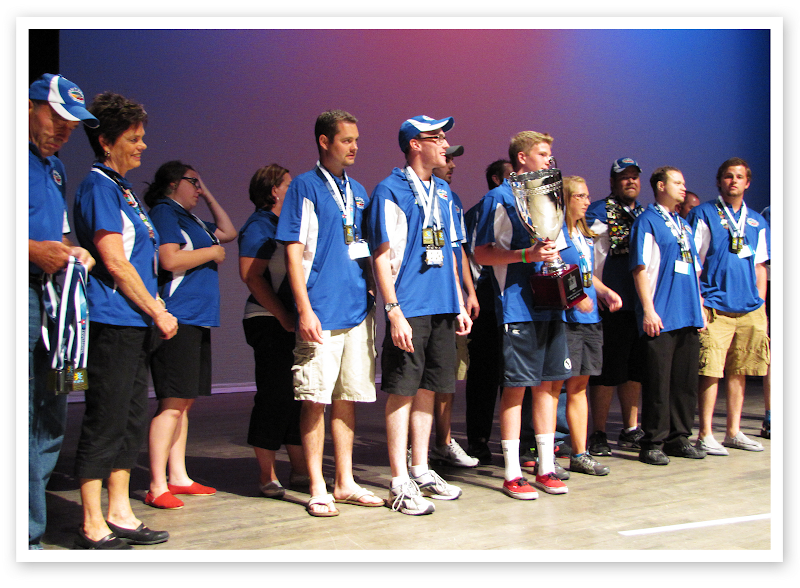 At the closing ceremonies, Team Utah/Idaho got called onto the stage to be awarded the Team Cup Award for winning 85 total medals, which was more than any other team making them the top team in America! They received an ENORMOUS trophy! We are grateful each day for our good health and especially Mike's good health. It is something we do not take for granted. Being married to Mike has been such a gift to me. His two-time battle with cancer has helped me cherish every moment of life I get to spend with him. Even when he does things that absolutely drive me nuts--like when he leaves his dirty dishes on the counter instead of putting them in the empty dishwasher, or when he leaves water spots all over the freshly cleaned bathroom mirror (he claims it's me, but I swear it's him! ), or when he leaves sharp knives very dangerously balanced across the divider in the kitchen sink (I still cannot figure out why he does that), etc...believe it or not, I cherish each of those things and love that he's alive to drive me nuts with them. He's the man of my dreams and I feel so blessed to get to spend my life with him! Become an organ donor HERE.